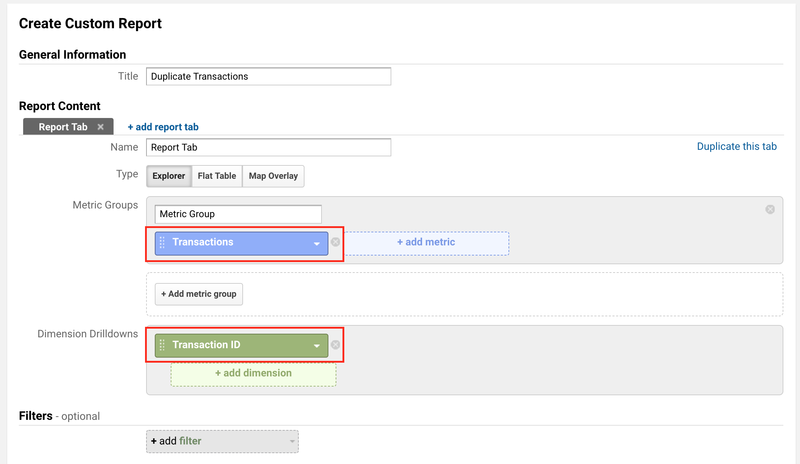 Have you received a Google Analytics audit that shows you have duplicate transactions being recorded? Or do you want to see how accurate your Google Analytics transaction data is and ensure there isn’t any double counting occurring? Chances are if you’re on a major eCommerce platform like Shopify, Magento, BigCommerce, or others then you are afflicted with duplicate transaction hits being sent to Google Analytics. That’s it – you now have a report that shows the total % of duplicate transactions within your Google Analytics account. In this example 5% is extremely high. You might be asking: why do these exist and how do I fix them? Unfortunately it’s not an easy answer that applies to all stores. For example if you are sending cancellation hits to Google Analytics then you will have multiple transactions for a single transaction ID which may be legitimate.